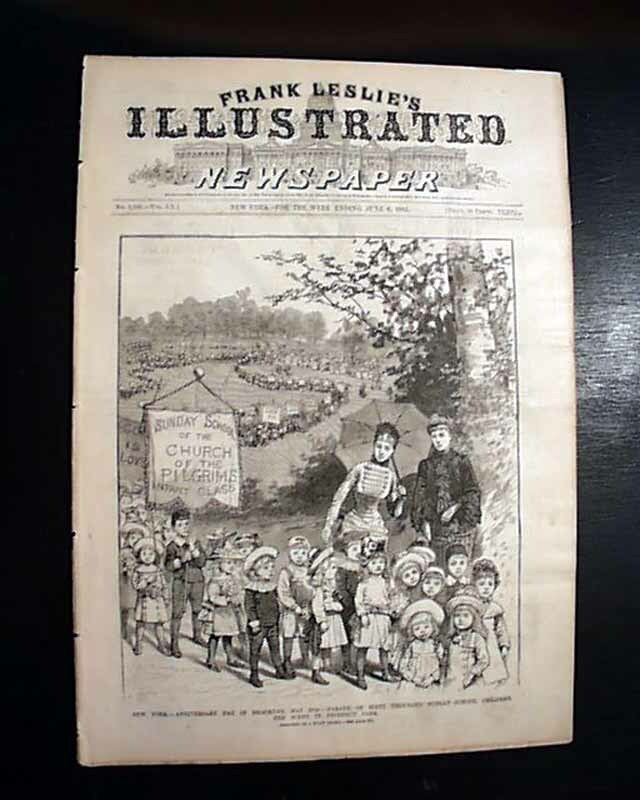 FRANK LESLIE'S ILLUSTRATED, New York, June 6, 1885 The front page shows the parade of 60,000 Sunday school children in Prospect Park. 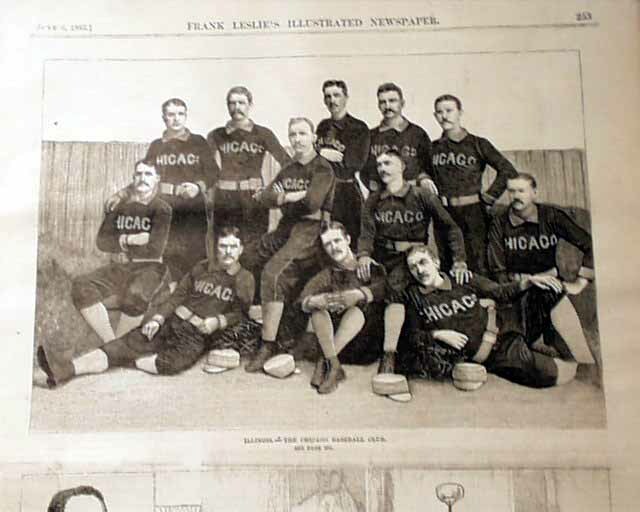 Page 3 has a very nice half page print captioned: "Illinois--The Chicago Baseball Club" showing the entire team in uniform, with a nice article on them on another page (see). 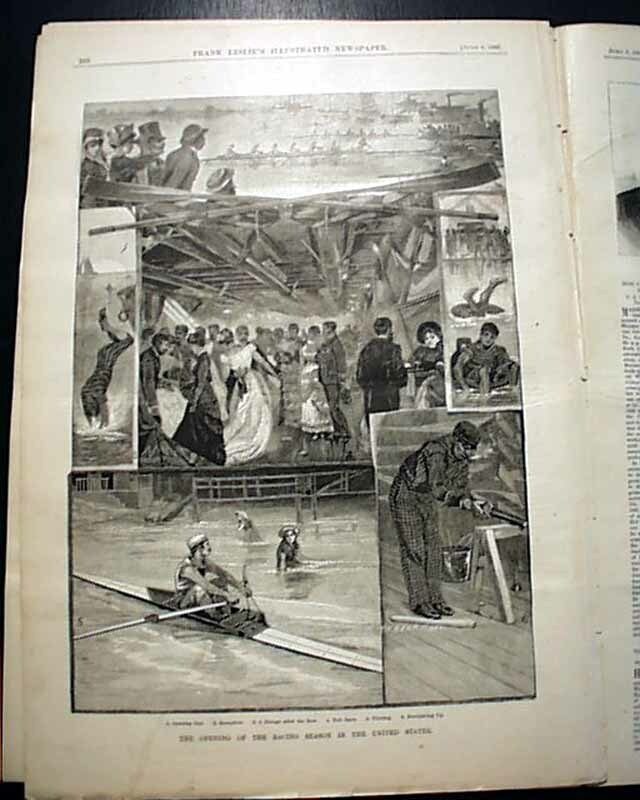 Another print shows children dancing around the May Pole, plus a halfpg. 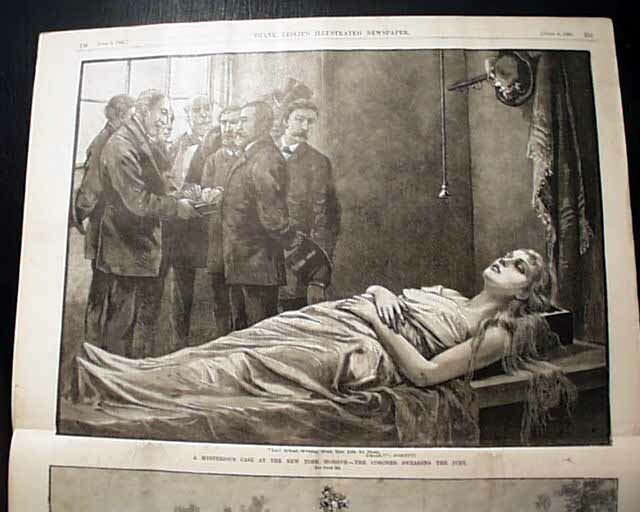 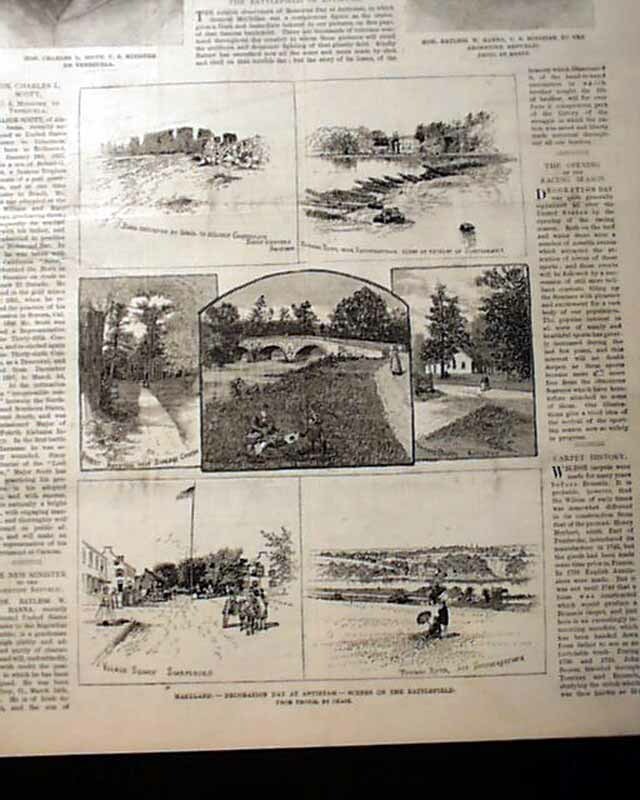 montage of 7 prints of "Decoration Day at Antietam--Scenes on the Battlefield."